When we play a slot machine, finances are obviously going to play a very important part in how we play the game. If we keep on playing a slot machine, just how much are we likely to be able to win? There are calculations that can be made which determine this. The Return to Player (RTP) determines just how much a slot machine will on average pay back to its players. It’s not the most straightforward of subjects though so we need to take a good look at just how RTP works. The RTP is always referred to as a percentage and the actual figure varies from game to game. The actual figure can be part of the publicity drive for a new game with hopes that a 97% RTP will persuade players to start using the game. As you might expect this is a very complicated calculation. There are several factors that have to be taken into consideration. These includes the payouts and probabilities of every single outcome that can happen in the game. 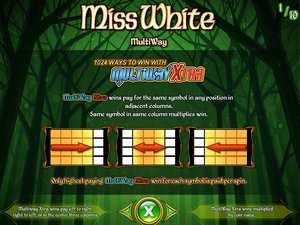 As games grow larger and larger with some such as ‘Miss White’ offering over 1000 different ways to win, you’re going to be spending a fair amount of time working out the RTP. To try and explain just how this calculation works it’s easier to consider a simpler game. Say it’s one that has only ten possible outcomes and these are all equally likely to happen. If you gamble one coin and over a period of ten spins you win nine coins, then the RTP will be 90% as you would have staked a total of ten coins and won nine (9/10). Of course that is a really simple calculation but that the basis on which an RTP is calculated. If a game does have a 90% RTP then this means the house has a 10% house advantage. There are still people out there who believe that modern day slot machines blow hot and cold. They believe that if you’ve been playing the game for a long time without much success, those big wins must surely be just around the corner. If you’re playing ‘Big Kahuna’ the RTP is 96.16% and after 100 spins at a stake of 1 coin per spin has only seen a return of 55 coins, then surely the game must start paying out soon to get up to that advertised 96.16% figure. Sadly, it doesn’t work that way because of the random way in which the game works. That RTP figure will be achieved over time but it’s more a case of the calculation being made over the long-run rather than how you get on when playing the game for half an hour. In some slot games there is an advantage of playing the maximum bet (Bet Max). This is the case if you want to be in with a chance of winning the progressive jackpot. This can sometimes make the most valuable symbol in the game pay out better and this increases the RTP. A progressive jackpot is funded by all the players who are playing the game and if it reaches a really large figure the RTP might even get above 100%. So there you are, that’s what RTP is all about. Obviously the developers of slot games are doing so in order to make a profit. I’m yet to come across a slot that is a registered charity. Over a period of time the game will make a profit. That’s why it’s important to learn how to quit when you’re winning because in the long run there’s only going to be one winner.